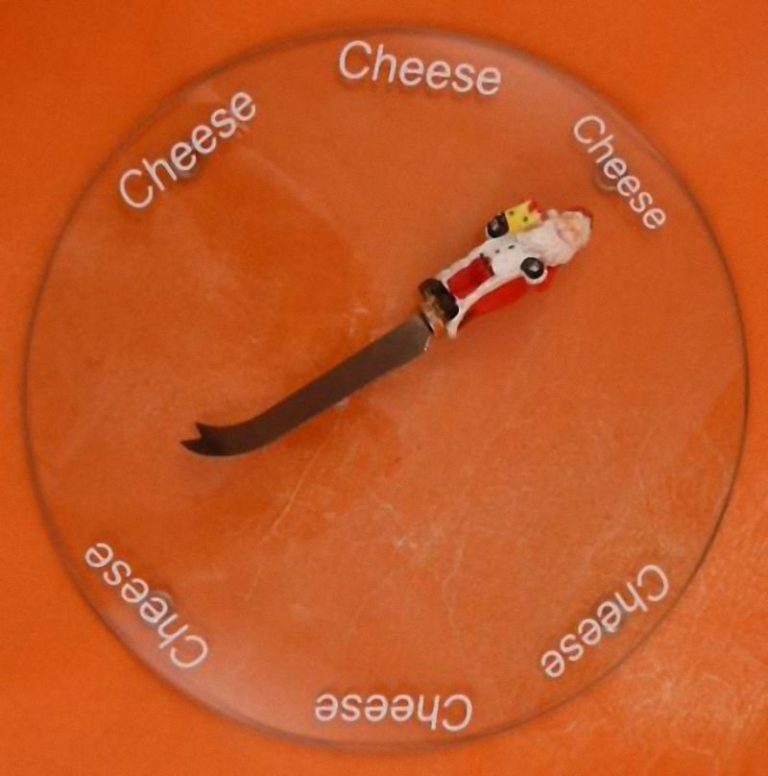 A glass circular cake plate (helpfully with ‘Cheese’ written on it several times around the edge) together with a novelty Santa handled cheese cutter. Would look great on the table at Christmas, or use as a gift (perhaps you could put add some cheeses to make a cheese board). Approx. 25cm (10 inches) diameter with four plastic feet underneath.